The general purpose of the longboard is to move around here to there. You can use a longboard instead of riding a bicycle for city commuting. We often misunderstood the difference between longboard and skateboard. Longboards are generally longer than a skateboard. We use skateboard for doing different tricks. Such as Flip Tricks, Grab and Air Tricks, Ramp, and Footplant and many other random tricks. But on a longboard, we can’t do these tricks. Because longboards are not designed to do the skateboard tricks. But we can use longboard for cruising, Freeride, and freestyle riding. Freestyle longboarding will allow you to do some longboard tricks. Such as Cross Step, Peter Pan, Nose Manual, G Turn, and Pivot. Freeride longboarding is quite tricky and technical than freestyle longboarding. Some of the tricks of freeride longboarding are stand-up slides, hands down slides, and foot braking. Drop-through, drop-platform, and top-mount. Now let’s get to the main discussion that we want to know. Here we are going to know about cruising longboarding and types of cursing longboard. While freeride longboarding and freestyle longboarding is tricky and technical. 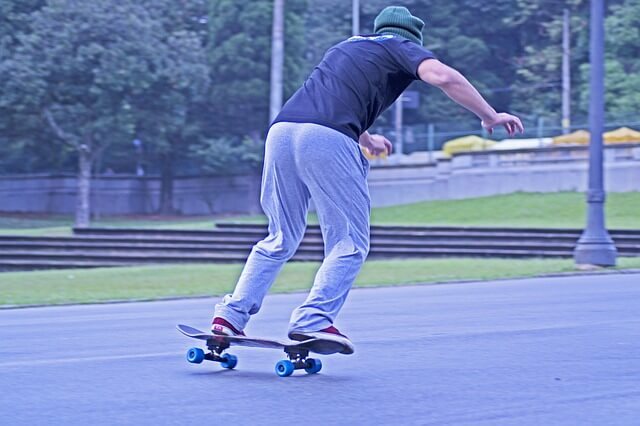 But cruising longboarding is easier than other types of longboarding style. Normally the cruising longboard has larger wheel than other types of the longboard. So, for faster ride cruising longboard is the best choice. Longboard riders generally use cruising longboard for the downhill ride. You can use any longboard for cruising. Though longboard riders prefer to use a longer board for cruising that is more flexible and has bushing setup. This setup allows them to control the speed while curving the longboard. You can use both shortboard and longboard for cruising but you will not get the same stability and riding style on both. Normally shortboards are less stable than longboards. As we need stability while cruising so it is most important for us to look into the stability. Again, on a shortboard, you can’t turn the downhill easily while on a longboard it is more convenient to turn the downhill road. If you want to ride in the city then you should definitely choose a shortboard. Because in city ride you will face so many obstacles and shortboard allows to quick turn. And the small wheels of the shortboard make the ride slower. So, you can easily stop the riding when you need. The shape and design of the longboard divided the type of the longboard into two categories. These are Drop Through Longboards and Pintail Longboards. Drop through longboard are designed in a unique shape where the trucks are dropped through the deck. This longboard is more stable than any other types of longboards. The wheels of drop through longboard are installed in two-edged of the deck. So, it makes the ride more comfortable to turn the longboard while riding. If you are searching a city commuter longboard than nothing is better than the drop through longboard. You can easily carry the longboard in hand while you need. The low-rise deck of drop through longboard allow pushing the longboard and footbrake at short time. As the wheels are installed in the edges of the deck so it makes the longboard so flexible. You can have some jumping fun on this drop through longboard. Pintail longboards are designed as the traditional longboard. The bigger wheels of the pintail longboard make the ride faster. The wheels of the pintail longboard are softer which makes the ride more comfortable and relaxing. This pintail longboard reduces the chances of wheelbite. Pintail longboards are most popular for cruising and small hills ride. It also helps the beginner to learn the curving easily. So, while choosing a longboard for cruising you must consider the length of the longboard. If you want to use the longboard for city cruising or small hills you should buy a medium sized cruising longboard. Such as a medium drop through longboard. But if you want to ride for a longer distance such as downhill ride without using the push and foot brake then you should take a pintail longboard.